Here we go again – the pseudoscientific, conspiracy theory pushing, birther, truther, vaccine denying, woo-pushing website, Natural News, is now claiming that Dr Paul Offit is yours truly, the feathery dinosaur known as the Skeptical Raptor. Yes, you read that right. The Donald Trump-supporting ignoramuses at Natural News think that the Skeptical Raptor is some nom de guerre for Dr Paul Offit. To quote those crackpots, “Insidious Pharma Shill #1: D. Paul Offit, a.k.a. “Skeptical Raptor” – chemical violence promoter and quack pediatrician.” Wow. The feathery dinosaur is laughing hysterically. I was cackling so hard (it’s hard to describe this old dinosaurs laughing) when I read this that I almost choked on my dinner. Chicken wings, if you must know. Yeah, it’s hard to scroll through an article with chicken wing grease on your hands. 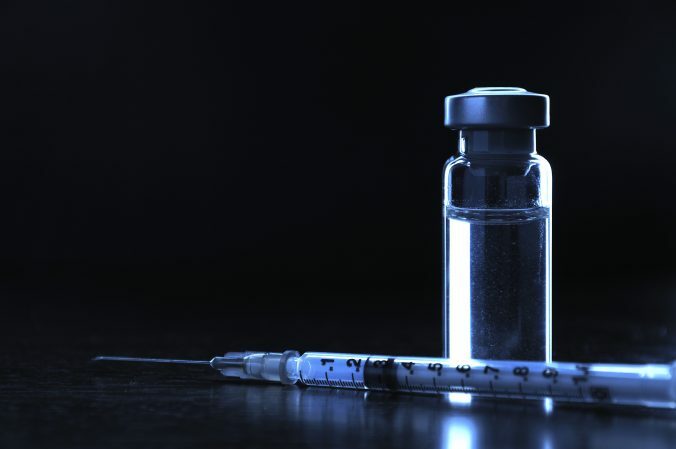 Ginger Taylor writes a letter about vaccines – this will be interesting. There are some very elaborate conspiracy theories set up by the anti-vaccine tinfoil hat crowd, but I ran across a new one that use such a tortured path of logical fallacies and outright misunderstandings that I just had to review it. The claim is that the CDC vaccine patents are so valuable that the CDC itself sets aside all morality and ethics to endorse these vaccines to make more money for the CDC. This particular conspiracy theory arises from none other than Robert F Kennedy, Jr, one of Donald Trump’s lapdogs for vaccines. Kennedy has made this claim for several years now, but repeated it in a recent interview, stating that, “the CDC is a subsidiary of the pharmaceutical industry. The agency owns more than 20 vaccine patents and purchases and sells $4.1 billion in vaccines annually.” Typically, Kennedy provides absolutely nothing in the form of supporting evidence. It makes no sense to argue against an imaginary claim – this is a pretty good example of an opinion rather than facts. But here comes Ginger Taylor, one of the most ardent and science-ignoring anti-vaccine activists around these parts. In fact, she inspired my article entitled, Vaccines and autism science says they are unrelated. Taylor, who apparently has an autistic child, believes that vaccines “damaged” her child because, as a mother, she knows more than science. She considers science to be an elitist pursuit, it’s not data and evidence that matter but her opinion. Seriously, she has an utter lack of self-awareness, which apparently broke one of Orac’s favorite Big Pharma Irony Meters™. Her opinion of her own scientific knowledge is betrayed by the reality of her science knowledge. So this same Ginger Taylor, vaccine denying silly person, decides to write an article with another torturous description of the CDC vaccine patents conspiracy theory, trying to support Kennedy’s outlandish claims. And she wrote this article in GreenMedInfo, one of the most ignorant anti-science websites on the inter webs, just a bit below NaturalNews in quality. The problems with Taylor’s article are multi-fold – but generally, like so many anti-vaccine types, they think they know a lot about a topic based on their 15 minutes of Google search time. But because Taylor is utterly uneducated and inexperienced with patents, she gets nearly all of her conspiracy theory wrong. Like almost all conspiracies. So here we go, debunking another anti-vaccine myth.